This year is flying by, and the stack of squares ready for joining gets one taller today! 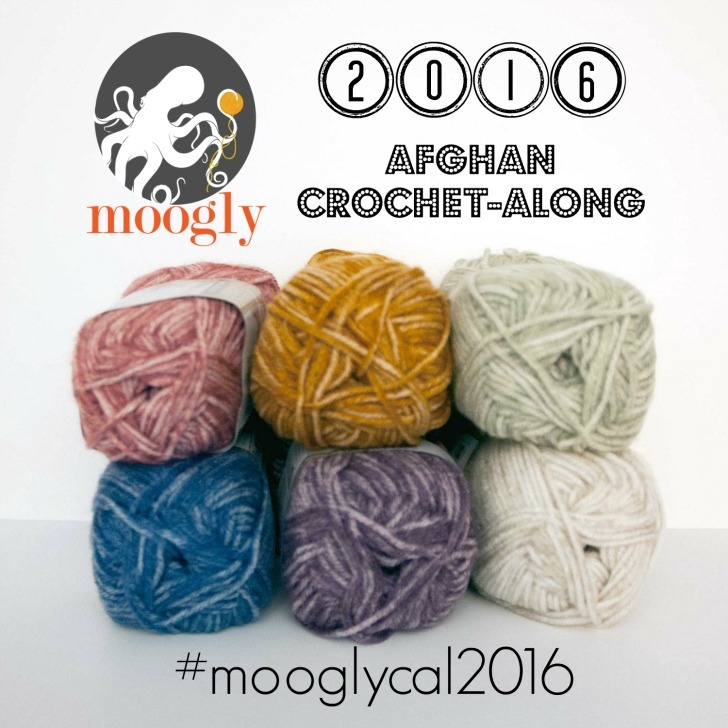 Presenting the 2016 Moogly Afghan Crochet Along block #19! 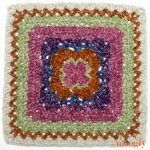 To print this pattern or create a downloadable PDF, look for the “Print” button at the bottom of the pattern post. 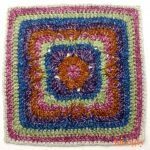 This pattern was unique, with clear instructions! 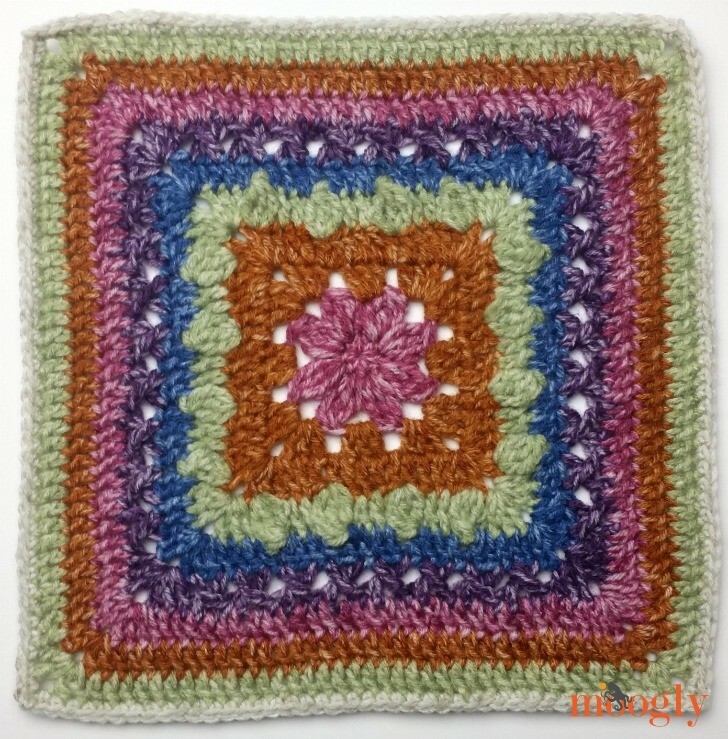 I helped tech edit this one, so mine is a little different from the final pattern, but it’s all ready to go! It took me 11 rounds to get to 12″, just as written in the pattern. But everyone is different so be sure to measure as you go! Learn more about adjusting for size HERE. Remember that the 12″ is measured across and up and down – not diagonally corner to corner. I used Lion Brand Vanna’s Choice, and my color scheme was as follows – Rnd 1: Rose Mist; Rnd 2: Rose Mist; Rnd 3: Tangerine Mist; Rnd 4: Tangerine Mist; Rnd 5: Seaspray Mist; Rnd 6: Denim Mist; Rnd 7: Purple Mist; Rnd 8: Rose Mist; Rnd 9: Tangerine Mist; Rnd 10: Seaspray Mist; Rnd 11: Pearl Mist. 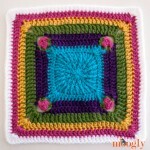 Your square looks so different from Misti’s, almost looks like it’s from a different pattern! 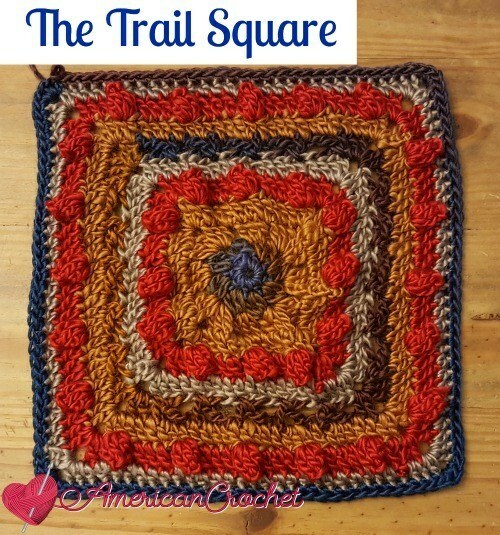 Hi i have been trying for ages to get to the pattern misti’s square every time i click on the pattern it goes to the trail square am i doing something wrong ? 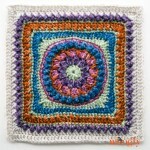 I just finished this square and it looks beautiful! I did notice that round 9 the bracketed directions say to repeat twice, they actually need to be repeated 5 times in order to get to the corner and have the 6 popcorns on each side that are listed in the stitch count at the end.